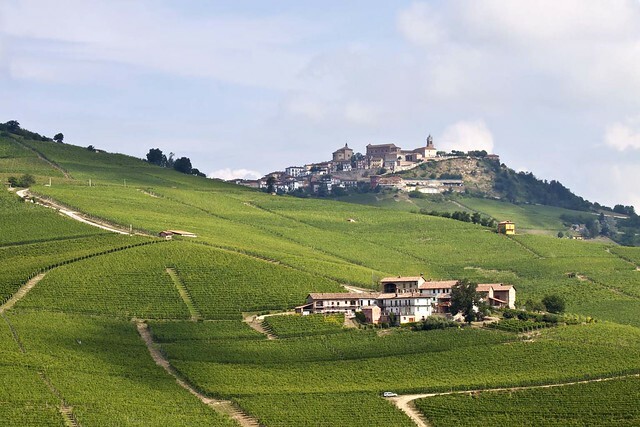 Le Langhe-Roero and Monferrato have recently gotten a bit of press, as they were added to the UNESCO’s register of World Heritage Sites in the first half of 2014. Citing the area’s uniquely beautiful landscapes—including five rolling wine growing districts, the Castle of Cavour, and pretty stone hilltowns of Serralunga, Nieve, Barolo, and Bra—and the long history of local winemaking—which has probably flourished since the time of the Etruscans five centuries before the birth of Christ—the UNESCO nomination only highlighted what lovers of Piedmont have known for years: this corner of Italy offers some of the most memorable meals (and photo-ops) in the entire country. No discussion of Le Langhe-Roero and Monferrato can begin from anywhere other than their wines. This area’s defining product for the past 2,500 years, these wines are both deeply rooted in the long history of cultivation and adaptation and perfected by modern innovations and developments. Many of the local viticoltori (almost all small, family operations) have opened their cantine to the public over recent years, offering everything from tours and tastings to full meals and winery accommodations. Le Langhe is a DOC and DOCG area about halfway between the cities of Cuneo and Asti, including the towns of Barolo, Serralunga d’Alba, Alba, and Bra. This is the most famous of the three areas included in the UNESCO nomination, and perhaps the most productive as far as wine (and food, see below). The principal grapes cultivated here are Nebbiolo, Barbera, and Dolcetto, three red varietals that thrive in the clay and limestone soil and misty microclimate and form the base for the local crown jewels: Barolo and Barbaresco. Wines have been produced here since before the Romans conquered this area, and still today form the backbone of the local culture and economy, which one can guess by the vast expanses of vineyard-covered hills that cover almost all of this area. Just north of Le Langhe and across the Tanaro River, Roero (so close that it is often considered as one with Le Langhe) is a DOCG wine-making area that also grows Nebbiolo, but has much more recently become a wine district and has successfully experimented with the white Arneis varietal, which has become its most recognized local wine, vying with Gavi as Piedmont’s most beloved white. 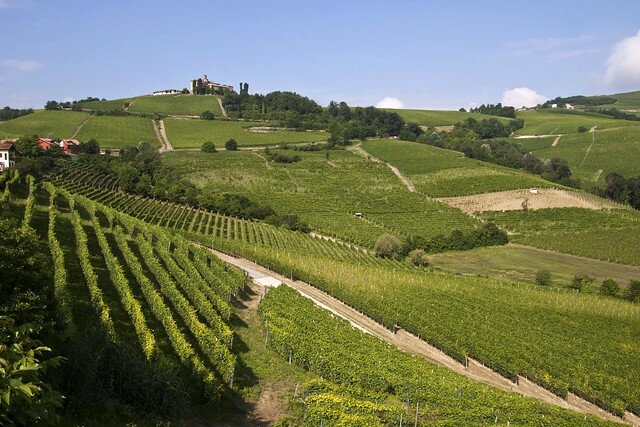 The varying landscape is clue to Roero’s relatively recent conversion to winemaking: the hills here—softer than those of Le Langhe--are covered with a more varied patchwork of vineyard, woods, and farmland. 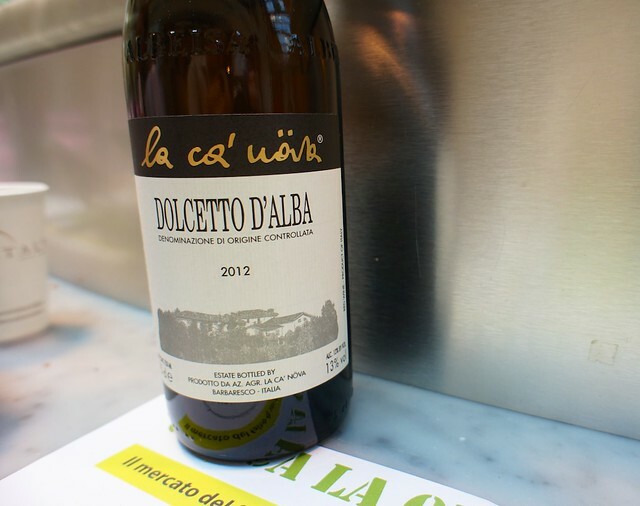 The local soil, a mix of limestone and sand left from an ancient sea which once covered this area, is slightly different from that of its southern neighbor and lend the local wines—including Barbera d’Alba, Dolcetto di Diano d’Alba, and Moscato d’Asti a distinct terroir. 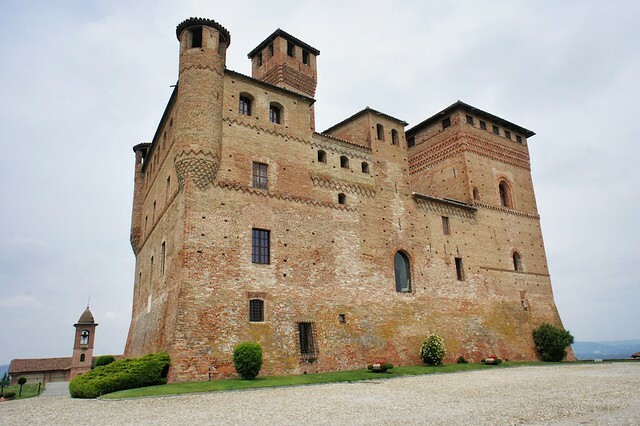 Like its neighbors to the west, Monferrato (also known as Monferrat) is a DOC and DOCG wine country marked by a long history of winemaking and still specializes in a select few indigenous varietals. The local reds are almost exclusively Barbera, Freisa, Grignolino, and Dolcetto, and the whites are dominated by Cortese. Though there has been an introduction of French grapes in recent decades (including Cabernets and Chardonnay), Monferrato remains loyal to its historic grapes. Like Le Langhe, the landscape here is largely undulating, vineyard covered expanses dotted with tiny stone villages, and the tuffaceous soil and hot, dry summers alternating with cold winters make the local wines, including Barbera d’Asti, Asti spumante, Moscato d’Asti, Cortese, Malvasia, and Grignolino unique and highly prized. Just as no discussion of Le Langhe-Roero and Monferrato can begin anywhere but with the area’s wines, no discussion of the local food can begin anywhere but with truffles. This is one of Italy’s premier truffle-producing districts, especially the esteemed white truffle, and home to the annual White Truffle Festival (and auction) in Alba. 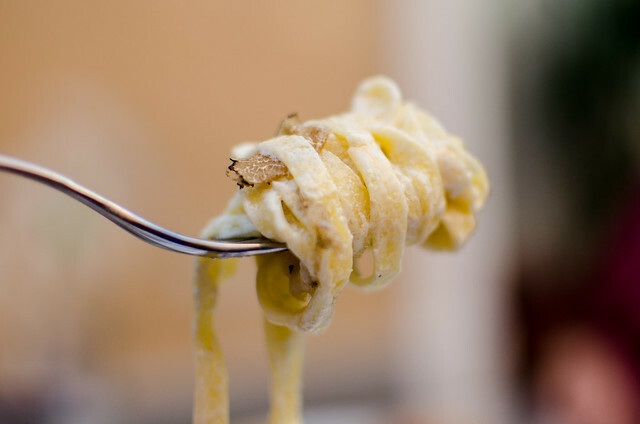 The indigenous trifola white truffle is so prized that it is often called Alba’s “white diamond”, and can be found grated over the local tajarin pasta from autumn through the winter. The fall also brings wild mushrooms, predominantly hearty porcini, and the lesser-prized but more pungent local black truffles. 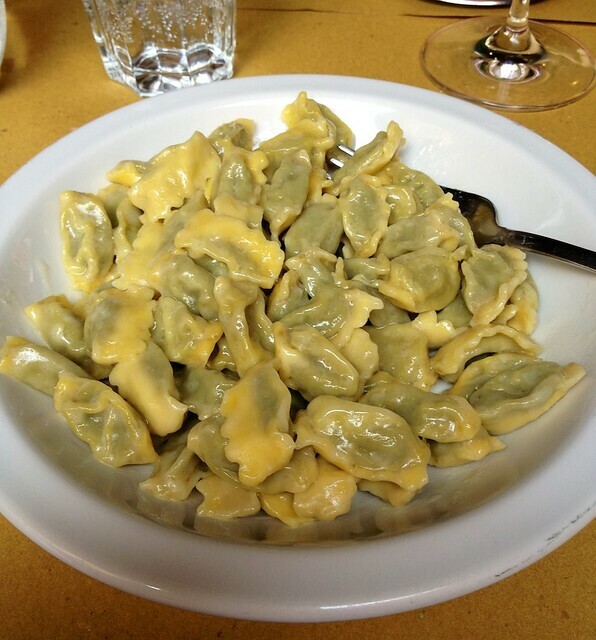 Aside from tajarin egg noodles, local pasta and rice dishes include agnolotti dal plin (tiny, meat-filled ravioli) tossed with butter and sage, hearty gnocchi with a meat ragù, and a variety of risottos, many flavored with a dash of local wine. Piedmont is also known for its variety of aged pork charcuterie, including the prosciutto di Cuneo, heirloom Fassona Piemontese beef, and offal (this is the land of tripe, tongue, and testina...a sort of veal headcheese). The mountains which surround much of Piedmont are home to a number of excellent local cheeses, including Toma, Robiola, Murazzano, Testun, and Sora, which should be eaten with local honey or, even better, cognà (a sweet preserve made with grapes, apples, pears, figs, nuts, and spices) and grissini, a type of breadstick. In the colder months, a small pot of bagna cauda set over a flame adorns the center of the table, and diners can dip their vegetables in this fondue-like sauce of garlic, anchovies, oil, butter, and sometimes cream.